Everlong Endurance — Final spots are going fast among 2020 Hardrock qualifying races! According to our shoddy math, there are approximately 580 slots available out of a total of 3,982. 300 of these 580 spots are for Grindstone, which has not yet opened for registration. 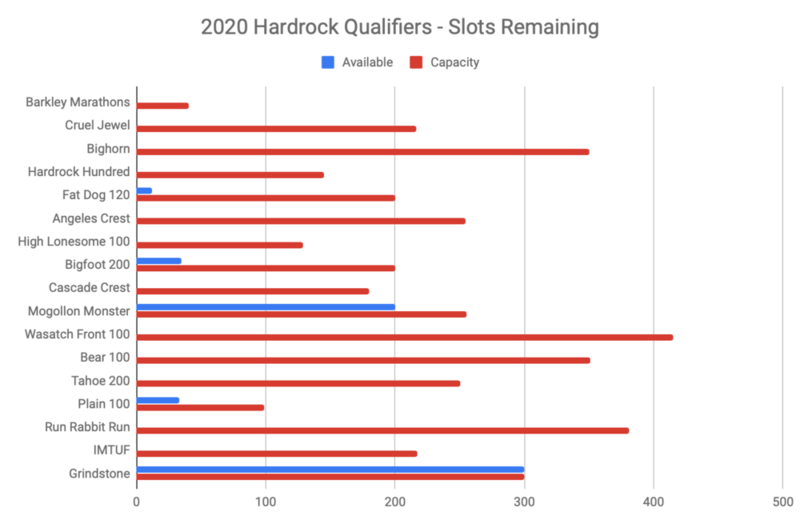 Oh, and don’t forget many 2018 finishes count toward Hardrock’s 2020 qualification standards!